Dr Oz: What’s Really In Boxed Cake Mix? Cakes have marked celebrations since the beginning of time. As Dr Oz pointed out, they used to be a “labor of love” that took hours to make. But now “made from scratch” means using boxed cake mix. 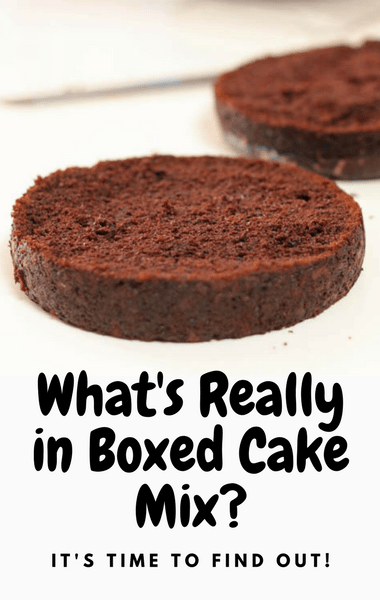 Have you ever wondered what’s really in boxed cake mix? Dr Oz welcomed Julia Collin Davison from America’s Test Kitchen to explain. In 1930, the first cake mix was made because of an excess of molasses. The mix was for gingerbread cake. It included flour, powdered eggs, sugar, molasses, shortening, baking soda, salt, ginger, and cinnamon. But now, boxed cake mixes tend to contain preservatives as well as other ingredients, including 20 grams of sugar, artificial food coloring, propylene glycol, and monocalcium phosphate. The last two ingredients can also be found in antifreeze and fertilizer!